If you love to drink Coke, you may not know that Coke is also great when used to cook meat. Coca Cola or any sweetened carbonated drinks help to tenderize the meat and also creates a caramelized gravy on the meat after its water content has evaporated during the cooking process. Here is a simple recipe that you can try next time. 10 pieces of Chicken mid-joints, can be replaced with similar quantity of chicken cubes if you prefer. Half a can of non-diet Coca cola (you can also replace it with sweet carbonated drink, eg. Pepsi or 7-up). Marinate the chicken with ingredients 2-6 in a bowl for about 20 minutes. You may add in a dash of cola as well into the marinate mix. Preheat a pan on low flame till its hot. Test it by spraying some drops of water on the pan, if the droplets swing around, the pan is ready. If you like, pan fry some ginger, garlic and shallots to give the wok a fragrance. Add in the chicken wings with the skin side down first. This comes the tricky part – adding in the chicken into the hot pan. This will cause the oil in the pan to splatter and it might hurts if the drops of oil lands on your skin. It also means lots of cleaning up around the stove too. Therefore, I encourage you to try not to use any oil as meat itself can cook in its own oil. If you use oil for your pan frying, you can sprinkle some salt into the oil prior to adding the chicken as the sale can help to minimize the splattering oil. Otherwise, use a splatter screen or pan cover to stop the oil from splattering out of the pan. Or you can totally forgo the oil by spraying the heated pan with some water and using water to prevent the chicken from sticking to the pan. This water method involves careful monitoring because when the water dries up from the heat, the chicken will start sticking to the pan. Hence, you need to add in more water bit by bit (eg. one teaspoon at one time). Remember to flip the chicken pieces regularly, otherwise you might burn one side of the chicken. Once the chicken starts to brown, pour in the coca cola and any remaining marinate left in the bowl. Start with a high flame for 5 minutes, then medium flame for another 5 minutes. Then finally, let the chicken and cola simmer (ie. on a low flame) till the water contents in the cola evaporates, leaving behind a thick caramel gravy. Arrange the chicken pieces on a serving plate lined with a lettuce leaf. If not picky about presentation, you can pour the remaining gravy over the chicken pieces for extra flavour. You may sprinkle some sesame oil at this point for a nicer fragrance. Bubur Cha Cha is a soupy dessert made of yam, sweet potato and sago jelly cooked in a coconut based soup, usually served hot. If you love the taste of Bubur Cha Cha but prefer it as a cold dessert, here is a simple recipe to make the cold version. However, this recipe here – which I saw on Food & Travel magazine – is a twist to the usual version. You still get your coconut taste but in the form of ice cream! The preparation is simpler than the original version but the difficult part here is to find coconut ice cream from the supermarket. Coconut Ice Cream (Cremo has it, you can find it in some Sheng Siong supermarkets), if you can’t find in Supermarket, you can try ice cream parlours like Scoopz or Island Cremery – just get a coconut themed flavour if you can’t get pure coconut flavour. If not, substitute it with Yam, Taro or even Red Bean flavoured ice cream, which are easier to find. Let it cool, meanwhile place a block of gula melaka with some water on a sauce pan and heat it over a small fire till it dissolves and form a sticky liquid. Some people like to drop in some pandan leaves to give it an added fragrance. Set aside to cool as well, preferably in a glass/ceramic jug or bottle that is easy to pour out such that you can drizzle it easily. This dish goes well with beer and even sake. It is ideal snack to prepare if you are having some friends over for a cosy get together with some drinks and snacks. You can prepare the gyozas in advance and keep it in the fridge and then take it out to pan fry when its time for your party. If you like it healthy, you can boil it in a pot of water instead of pan frying it. Boil the cabbage leaves and let cool then chop it to very fine slices. Squeeze the cabbage as dry as you can. Scoop up the gyozas and invert them on a plate such that the golden brown bottoms are facing upwards and serve them with the dipping sauce mentioned above. Spinach is very nutritious and is ideal for those recovering from an illness and has little appetite. It is soft and easy to chew, making it suitable for elderly and small children. Chop it to small pieces to avoid choking on the strands, cook it with some minced fish or pork in a porridge/congee till it is very soft or to your preference. Add a dash of soya sauce for those with little appetite but it is not recommended if you are cooking it for small children, don't spoil their taste buds at this young tender age. For the rest of us, spinach can also be good on its own as a cold salad/side dish. Squeeze out the water and arrange them neatly or roll them with a sushi mat and cut into sections. Can place it in the fridge to make it cold. Transfer to a dish and sprinkle with bonito flakes/sesame seeds and a dash of japanese soy sauce just before serving. Dashi can be prepared using bonito flakes, shiitake mushrooms and/or kelp (konbu) - seaweed. Soak mushrooms in water for 30 minutes and bring it to boil and let it rest for 20 minutes after boiling. You can also soak mushrooms in water overnight and take out the mushrooms before boiling the water. For bonito and kelp, soak kelp in water for 3-4 hours, bring water to a boil in low heat. Add in bonito flakes and cook for another 5 minutes. Reuse the kelp and bonito flakes in a new pot of water and simmer it to a boil for 4-5 minutes. Discard the kelp and bonito and use this stock to steam vegetables. Dashi can also be prepared with dried sardine (niboshi) with the guts and heads removed from the sardines. Soak the sardine with the water for 30 minutes, simmer it to a boil and let it boil for 3-4 minutes before discarding the sardines. Instant dashi in powder or teabags form is also available. Follow instructions on packaging. Pork goes well with ginger. Naturally this dish needs ginger to bring out its fullest flavour. Add in some ginger slices if you do not have ginger juice. Remember to get the finely sliced pork meant for shabu shabu. I would recommend pork belly as it has some fats and is more tender than pork collar which is tougher. Heat oil in a fry pan and using tongs or chopsticks, pick up a pair of the pork slices and dip both sides into the sauce quickly and saute in the pan over medium heat. 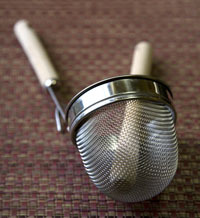 To add in miso paste, use a ladle with a sieve to mash the miso in the soup. Miso paste should be added in after fire is turned off and just before serving. When cooking miso soup with vegetables like the following recipes below, use dashi stock instead of plain water for better flavour. This is a simple teriyaki mackerel recipe. I love to have this soup poured over steaming bowl of rice. It is excellent as a soul food, feel the warmth of home cooked goodness as you savour this soup on its own with rice or with an additional meat dish. Wash fish, remove scales and organs. Adding soy sauce in two batches is because first batch will give taste to the dish while the second batch will give it aroma. I am a fan of Street Painting or Chalk Art. It amazes me how the artist could visualize the 3D effect in their minds and drawing it on a flat 2D surface. Just sharing this one with Candy Crush fans or anyone who are fond of other addictive games like Fruits Ninja, Angry Birds, Draw Something, Temple Run, etc. Ship your Amazon purchases to Singapore for FREE! Unleash the shopaholic in you. If your order is $125 or over and being shipped to India or Singapore, you may qualify for Free AmazonGlobal Saver Shipping. With AmazonGlobal Saver Shipping, your order will be delivered 9-14 business days after all of your items are available to ship, including pre-order items. Add at least $125 of eligible AmazonGlobal Saver products to your Shopping Cart. Note: Items must be eligible for the AmazonGlobal Program and sold by Amazon.com. Ship your items to a single address in India or Singapore. Select AmazonGlobal Saver Shipping as your shipping speed. Note: AmazonGlobal Saver Shipping may be used with a promotion code. The qualifying amount is the total amount of the products purchased before the promotion code is applied. With FREE AmazonGlobal Saver Shipping, you receive free shipping to India and Singapore if your order includes at least $125 of qualifying merchandise, excluding the Import Fees Deposit, gift-wrap charges, duties, and taxes. Most products shipped using the AmazonGlobal Program that are sold by Amazon.com are eligible for AmazonGlobal Saver. Items 20 lb. or more, certain oversize items, e-documents, software downloads, music downloads, Kindle devices and accessories, and gift cards don't qualify. Canceling items, combining orders, or changing your shipping address, speed or preference might affect your order's AmazonGlobal Saver Shipping eligibility. An eligible item that was canceled brought the total below $125. Must be sold by Amazon.com / Fulifilled by Amazon.com and not from third party sellers in Amazon, this is because third party sellers ship direct to customers, not via Amazon. Now what would you like to buy today? [Recipe] Quick and Easy Thin Crust Pizza Recipe - 5 steps and 20 minutes is all you need! Are you a pizza lover? Do you order takeaway or call for pizza delivery very often? Did you ever wish that the pizza ingredients can be customized to include only stuff you like and nothing else? Well it is time to make your own! If you are like me who prefer the thin crust type of pizzas - like those found in Spizza - over the pan pizza type, you would be surprised that it is easy to make the same kind of slightly burnt and crispy crust pizza even without a stone pizza oven! Here I will share with you a simple 5 step recipe to make a thin crust pizza that is a worthy contender to the professionally made ones. It is so easy that it takes not more than 20 minutes, if you have all the ingredients ready! 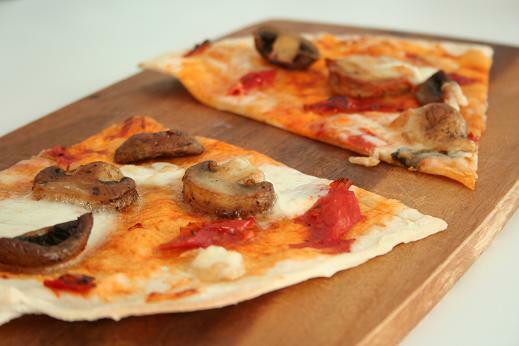 How to make thin crust pizza the easy way - just 5 steps and 20 minutes! I tried this brand and got the results that I wanted but no harm trying other variations or brands if you cannot find this particular variety. Your choice of toppings, eg. sausage, ham, bacon, salami, seasoned meats, mushrooms, onions, olives, pineapples. pesto, wild rockets, basil leaves, etc...the only limit is your creativity. 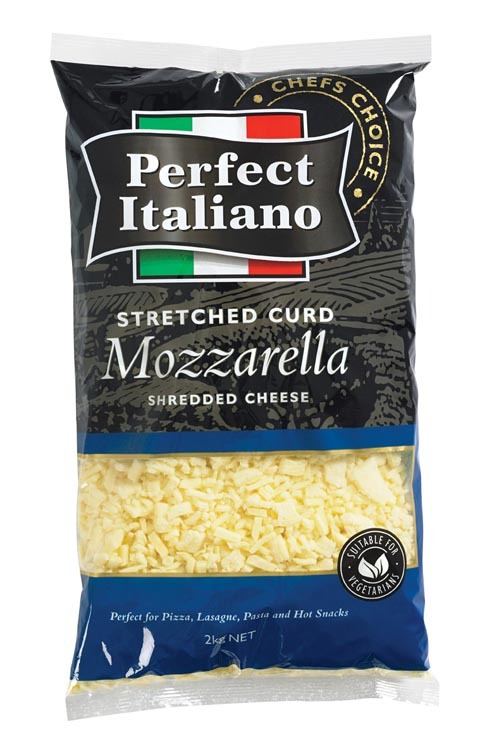 Depending on your oven (I used a table top oven and got it done to perfection in 10 minutes or so) toast it until you see that the cheese has melted. Be sure that the wrap is not burnt though a little browning of the edges is fine. It is essential to monitor the pizza through the oven's window so that you get the right crispiness to the crust and not a totally black crust! Switch off the oven and let the pizza rest in it for a few minutes before taking it out. Enjoy your custom made pizza, perfected to your own taste and preference! Once you have got the hang of it, experiment with other toppings and you would probably never need to order a pizza delivery anymore! Now, what is your must-have toppings on your pizza? Do you know of any combination of ingredients that goes well with each other, something like the classic hawaiian combo of pineapple and ham? Is there an unusual topping that you know of? Share your favourite toppings in the comments below and show off your creativity! [Share] Kobobooks.com Discount Code up to 80%! Kobobooks.com Discount Codes for up to 80% off ebooks! May not work on all books, but worth a try. Take note : these are ebooks not actual physical books! Limited validity, so hurry up and use them while they are still usable! I just checked 1st June 2013 and it worked!